Drypoint lines are soft-looking, slightly fuzzy. 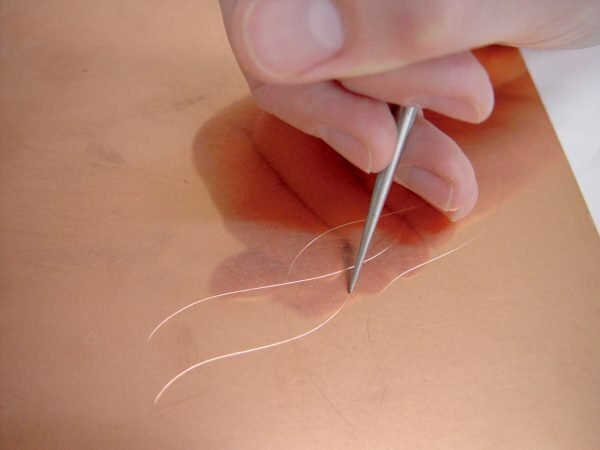 Their character comes from the way they are drawn: the artist simply scratches the lines into the metal with a sharp point, and most of the metal removed by the tool stays at the edges of the marks, like furrows in a plowed field. Deep marks, made by pressing hard and angling the tool, have a stronger burr than shallow ones.